Founded in 1990 Brian and Catharina had a passion for construction. With over 10 years in the construction industry at that time, Brian and Catharina embarked on a journey that to this day, has allowed them to follow their passion of turning people's dreams into reality through construction. Through the years they have had the great opportunity of working with amazing staff that have the same goals and ambitions as them. 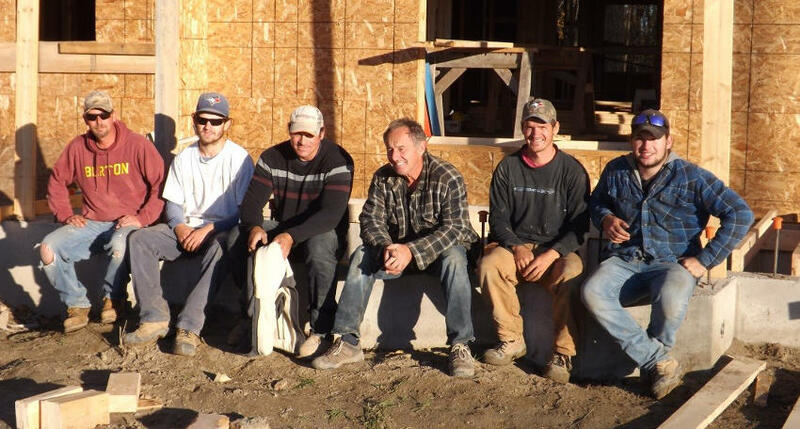 Our staff at Brian Shane Construction Ltd. is what sets us apart from our competitors as each and every one of us love what we do and only want to build the best for you. With a combined experience of over 60 years our team has the experience and knowledge to create and build what you need, whether it's a new home, addition or renovation. Our friendly and experienced professionals will help you with any project and go above and beyond to make your dream a reality. Brian works with each of the customers to understand and meet their needs from the initial design to beyond possession. All our projects are backed by our unparalleled customer service. Justin has been working with the team for over 8 years. Having started while he was in secondary school, Justin's passion for construction has only increased. Justin is an ambitious and hardworking individual who will always greet you and answer any questions you have. In his spare time Justin loves hanging out with friends, playing broomball and attending concerts. Thomas has worked with our team since his apprenticeship started in secondary school. He is a dedicated broomball coach and loves to play the game. Hanging with friends and discussing sports keeps him busy. Jack - has been working with the team for the past 9 years and through his knowledge and skilled labour experience has worked up the ranks. Jack enjoys camping and is a race car enthusiast. He spends most of his free time with his daughters. Adam has worked in the construction industry for a number of years and brings with him a great deal of foundation knowledge. Adam enjoys training at the gym as well as watching and playing sports. Bradley's on the job training and accompanying studies will enable him to become a licensed carpenter. He enjoys broomball, spending time with his friends and is an avid outdoor enthusiast.